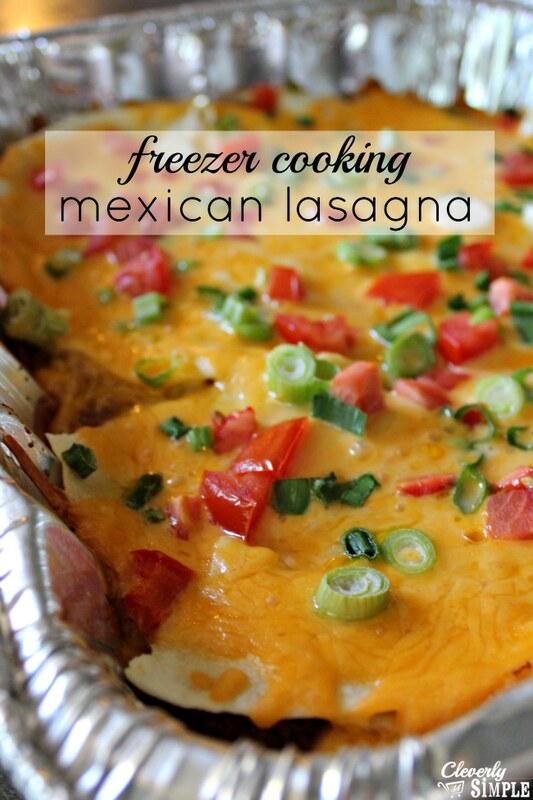 I’ve got a new freezer cooking recipe for you today! 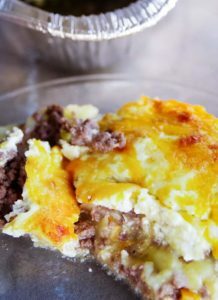 This Mexican Lasagna Recipe is super easy to put together especially if you’ve got ground beef cooked in the crockpot. If you like to eat mexican food but don’t want the mess, this meal is perfect for you. It’s like a burrito. 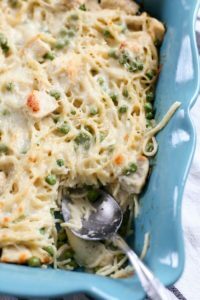 But better because you can make it ahead and pop it in the oven on a busy night! 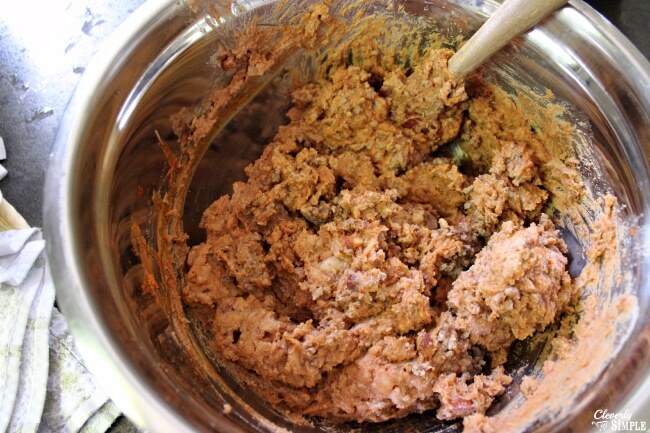 I will say that if you don’t like refried beans, you won’t like this recipe. 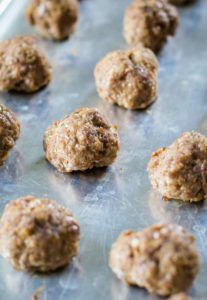 If you do like refried beans as I do – you will love it! And since refried beans are very cheap to buy – I love it even more! 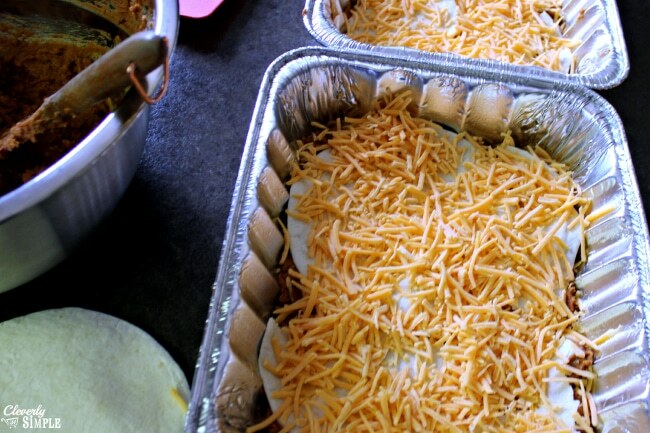 Here’s what you need to make this Mexican Lasagna recipe. 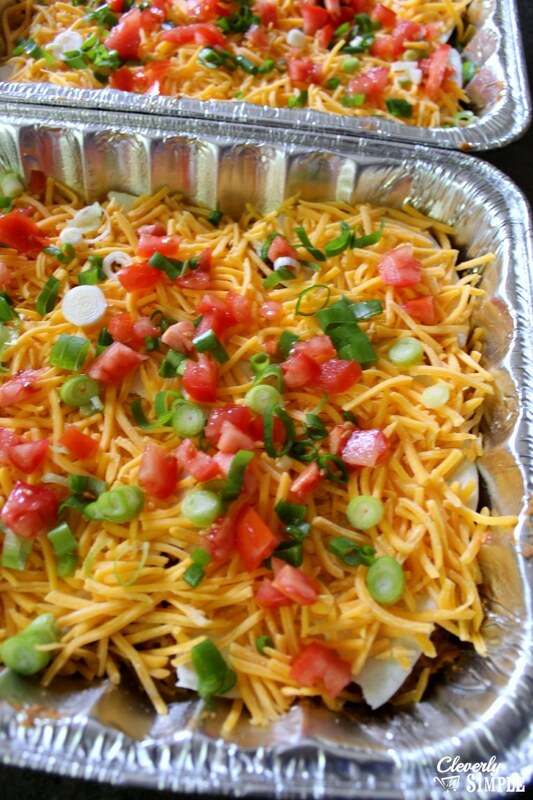 This recipe makes two large 9×13 pans. Cook the ground beef in a skillet. (I would totally recommend doing it in the crockpot the night before. It’s so much easier!) Once the ground beef is cooked, mix it in a large bowl with the refried beans and taco seasoning. Place half of your hamburger mixture on the bottom of your 9×13 pan that has been sprayed with cooking spray. Smooth it out so it’s even and top it with a layer of tortilla and then 1 cup of cheese. Repeat this layer. It’s lasagna so you’re adding meat mixture, tortilla and then cheese. I only did two layers but if you want to do more or make each layer thinner, go for it! Dice up the tomatoes and onion and top the lasagna. To be honest, I think having diced tomatoes and onion would be good in the middle layers as well. Let me know if you try it! Bake at 375 degrees for 45 minutes if you are baking it right away. If you’re putting it in the freezer, make sure you wrap it well with foil. Label the top of it with “Mexican Lasagna” and the baking instructions so you won’t have to hunt for it later. I typically bake it for 1 hour when I’ve thawed it because it’s still colder than if you were making it fresh. Enjoy this easy Mexican dinner! 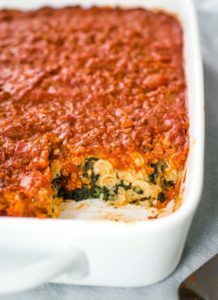 Looking for another lasagna to try? How about this Easy Meat Lasagna recipe? 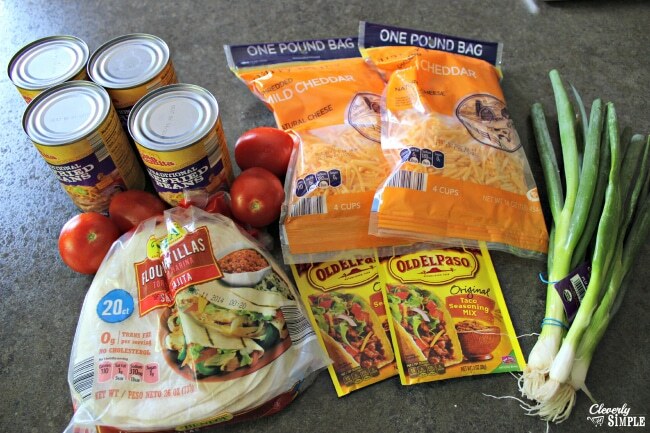 Easy freezer cooking recipe – Mexican lasagna recipe! In skillet, cook the ground beef. In a large bowl mix taco seasoning, refried beans and cooked ground beef. Spray the 9×13 pan with cooking spray. Place half of the meat mixture into the 9×13 pan and smooth so that it’s even. Place a layer of tortillas. Repeat steps 4 through 6. Top with diced tomatoes and onions. Bake 375 degrees Fahrenheit for 45 minutes to 1 hour. **Recipe makes TWO 9×13 pans. I made this several months ago and froze it. We had it this week, and my family loved it, so I just made more for the freezer. I did top each casserole with a small can of enchilada sauce before I froze it.